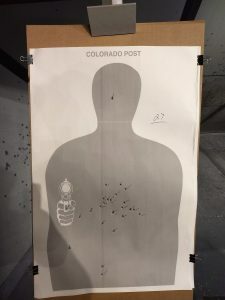 Last week I went through the training many of the teachers who are authorized to carry a gun in Colorado schools go through. In the wake of the devastating school shootings in Parkland, Fla., and Santa Fe, Tex., many different solutions have been proposed for how to stop or at least curb the violence inflicted by active shooters. Among the most prominent solutions—thanks in large part to President Trump's advocacy—is arming teachers. Most, however, don't understand how arming teachers works in person or that a number of states already allow certain teachers to carry guns. FASTER, which stands for Faculty / Administrator Safety Training & Emergency Response, is a course offered with assistance from nonprofit organizations in Ohio and Colorado that have successfully trained hundreds of teachers. 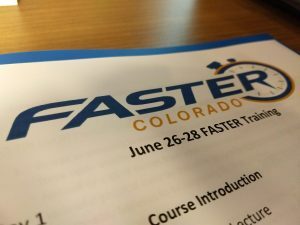 FASTER Colorado was kind enough to let me fly out to Denver and attend the three-day class and fully participate in all of the shooting, medical, and strategy drills it entails. After completing the course and passing the shooting qualification, I came away extremely impressed. 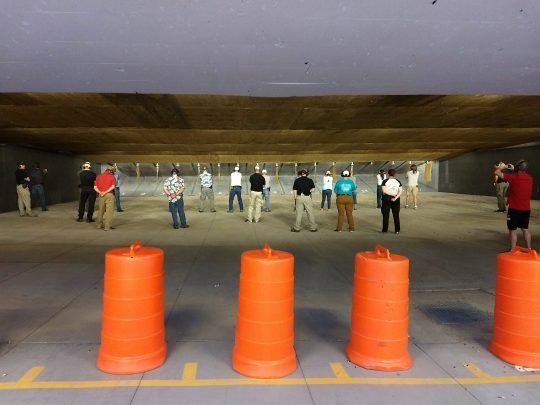 As a certified firearms instructor, I can tell you this is much more than basic firearms and safety training. It is an advanced course taught by active-duty law enforcement officers that incorporates the best in civilian active shooter training and sorely needed medical training rarely available to the public. The class starts off with the most important aspect of countering an active shooter: mindset. It was remarkable to me how similar the mindset taught by FASTER was to the mindset taught in the incredibly impressive Israeli Tactical School class I took in 2016. Aggression is the key. Either go 100 percent or don't go at all. The situation will dictate which you choose. If the situation is static and the attacker has stopped shooting but is holding hostages, you likely need to secure the area and wait for police to handle the situation. If the attacker is still shooting and you've decided you need to intervene, then you need to intervene as fast and as aggressively as possible. Your mindset is as important as, if not more important than, your marksmanship. 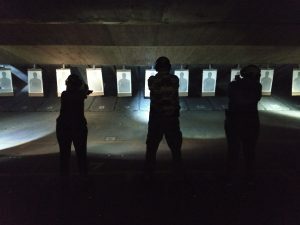 The course used live-fire drills, video simulations, and force-on-force scenarios to help with honing your thought process as well as your firearms handling skills. There was shooting while moving. There were drills to help you be able to keep ahold of your gun if somebody grabbed it or grabbed you. There was night shooting. The shooting qualification involves firing 27 different shots at a target from varying distances and under varying time constraints. It's the same qualification used for many police officers in Colorado. It requires shooting with both hands, just your strong hand, and just your weak hand. It requires clearing jams and dealing with malfunctions. It is comprehensive and not everybody passes on their first attempt (I shot an extra round in one of the drills and was disqualified for it). In fact, several of the teachers I went through the class with weren't able to complete the qualification at all and will have to try again at a later date. The course wasn't quite as physically demanding as the Israeli Tactical School active shooter training but it taught the same top-level firearms skills. It had something the Israeli program didn't and something nearly all firearms training courses lack: emergency medical training. This was perhaps the most affecting portion of the class. It may not be easy to visualize yourself shooting somebody in real life, especially if they're one of your students. It's much harder, however, to visualize applying a tourniquet or chest seal to a child who is bleeding out—especially if they're one of your students. It's very difficult to picture yourself digging blood out of a gushing gunshot wound and packing it with hemostatic gauze. It is necessary, though. If your goal is to save lives during a potential attack on a school, then you need to learn how to stop life-threatening bleeding. It's something that everyone who carries a gun should learn. Heck, it's something everybody should learn. 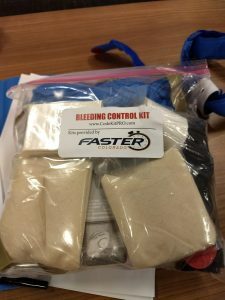 And, to their credit, FASTER Colorado doesn't just bring in a certified emergency medical professional to teach the class, they also supply everyone who takes it with an emergency medical kit. After going through the 26-hours of training, I can safely say the teachers and school staff who've taken the course are receiving exactly they kind of preparation they'll need should they ever face an attack on their school. It was honestly the best and most comprehensive training I've ever had. That's not to say they shouldn't seek further training and most will be required to take the FASTER course again next year to requalify. But, after this first-hand experience, I'm confident the kids in the schools that employ these teachers and staff are safer than they otherwise would be. This entry was posted in Issues and tagged Guns, Schools. Bookmark the permalink.